Get the 888sport iOS app or use the mobile browser version of the website and get up to 30 GBP in Free Bets as a new customer! 888sport is an online bookmaker that has done well to make a name for itself. Based in Gibraltar, and an EGR Awards Winner in 2017 for its innovation in operator and mobile marketing, it’s no surprise that 888sport has a mobile app that has all the bells and whistles. 888sport app users can also take advantage of an exclusive welcome offer. To receive the offer, bet 10 GBP and receive 30 GBP in free bets (two 10 GBP free bets plus one 10 GBP bet for mobile). With a mobile application that gives access to top odds on all major events, live betting, bet and watch on all UK and Irish races, and the ability to cash out, you can enjoy your account from anywhere. The standard welcome offer on the 888sport website is bet 10 GBP and get 30 GBP in free bets, but 10 GBP of the free 30 GBP is reserved for mobile only. To activate your promotion, you will have to enter a promo code and place a 10 GBP bet on an event with odds 1.5 or greater. You can get the on the app by placing bets, keeping track of your bets, participating in daily live betting, and cashing out when it’s time. To get the app, you can find the link on the 888sport website or scan the QR code with your mobile device. You can also search “888 Sport” in the Apple iTunes store to find the app and click the “Get” button. The app is available for only iOS. Android, Windows, Blackberry, and users of other mobile operating systems can access the website through the mobile browsers on those devices. The mobile browser version of the 888sport platform is still intuitive and gives players full access to everything, including the 30 GBP free bet promotion. To get the 30 GBP in free bets, you must make a deposit of at least 10 GBP with any acceptable method other than PayPal, Paysafe, Entropay, Skrill, or Neteller. A bonus code must be entered during the registration process. You must then bet 10 GBP on an event with odds of 1.5 or greater to receive the Free Bets after the initial bet settles. Even if you bet more than 10 GBP on your first bet, you will still only receive the 30 GBP, as that’s the cap. The Free Bet can’t be combined with any other offer and applies to customers using their computers or mobile devices. It’s important to remember that 10 GBP of the free cash is strictly reserved for a mobile bet. During the registration process, a promo code box will appear that will ask for a promo code. Enter 30f in the box so you will receive the Free Bets after you achieve the activation requirements. The activation requirement is to place a bet of 10 GBP. You have 30 days after account opening to place this bet. Once that bet settles within 72 hours, you have 7 days to use your Free Bets. To download the app and get your Free Bets, it’s important to fulfill each step. To make it easier, the following is a step-by-step guide to help you through the process. You can sign up before or after you download the application. When you register, you will enter your identifying information, confirm that you are 18 years of age or older, enter the promo code, and make your first deposit. When you download the 888sport app, you can do so from the 888sport website or by visiting the Apple iTunes store and searching “888 Sport” and clicking the “Get” button. Before your deposit is completed, you will see a field for the bonus code. Enter “30f” into the field to ensure your Free Bets are activated after you complete the bonus activation requirements. You can make your minimum 10 GBP deposit using Visa, AstroPay, MasterCard, Maestro, WebMoney, instant banking, Trustly, Sofort, GiroPay, Diner’s Club, Postepay, and others. Deposits made using PayPal, Paysafe, Entropay, Skrill, or Neteller aren’t eligible for the Free Bets. After you make your deposit, you must bet at least 10 GBP on an event with odds of 1.5 or greater. This must be completed within 30 days of opening the account. It will take approximately 72 hours for the bet to settle. Once settled, the 30 GBP in Free Bets is applied to the account in the form of three 10 GBP bets. You can use two of the 10 GBP bet tokens regardless of the device you are using. The final 10 GBP token is a mobile-only token. Use two of the 10 GBP tokens on each way bets or permutations. You have 7 days to use these two bet tokens. Each token must be used in its entirety, not broken into smaller bets. You also have 7 days to use the 10 GBP mobile bet token on each way bets and permutations. Your free bet stakes aren’t included in your withdrawals. You can only withdraw winnings. There are other promotions on the 888sport website that you can take advantage of on your mobile device. There’s the Acca Saver where you can get money back when your Racing/Footy/Dog Acca goes down by one. There’s also the profit boost on Accas, money back on fallers, best odds guaranteed on specific events, bet and watch racing, and refunds on American Acca misses. Methods of payment that are allowed for receipt of the promotion include Visa, AstroPay, MasterCard, Maestro, WebMoney, instant banking, Trustly, Sofort, GiroPay, Diner’s Club, Postepay, toditoCash, and postepay. You can make deposits using PayPal, Paysafe, Entropay, Skrill, or Neteller but you forfeit the Free Bets when using these methods. You can make withdrawals to the account you used to make your deposit. It can take up to five days for the money to transfer to credit card accounts and there is no fee. The credit card minimum withdrawal amount is 3 GBP and the maximum withdrawal amount is 25,000 GBP. eWallet accounts can take one or two days for the transfer to complete and there usually isn’t a maximum with a 3 GBP minimum and there’s no fee. Reliable or Scam: How Safe is the 888sport App? 888sport is licensed and regulated by the Great Britain Gambling Commission. The bookmaker is also regulated and licensed under the laws of Gibraltar. Very strict regulations and requirements must be met to receive these licenses, including measures to help thwart gambling addiction. 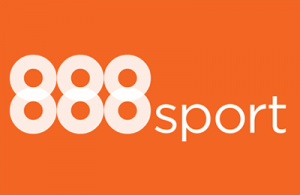 888sport connects players with BeGambleAware for resources that can help with potential or existing gambling addiction. As for the app, it is holding a 3.3 rating in the iTunes store. After updating the app, there have been mixed reviews, but a majority of users have posted positive reviews regarding the latest software update. It’s a given that the 888sport app puts a great deal of power in your hands because you can manage your account from anywhere. It also gives you more betting power because you get the extra 10 GBP mobile bet token in your welcome package. Use two 10 GBP bet tokens regardless of device, but make sure you download the app so you can use the third 10 GBP token. This is a way to show you everything that 888sport has to offer. Fortunately, the Free Bets are very simple to activate with your initial 10 GBP bet on an event with odds of 1.5 or higher. The winnings are also easy to withdraw. There are no strict wagering requirements, just a time limit of 7 days to use the Free Bets. How do I get the 888sport app? There is a link on the 88sport website that takes you to the Apple iTunes store. You can also search “888 Sport” in the iTunes store that will take you to the download page. You can click the “Get” button to download the app in one click. Do I need an 888sport promo code? Yes, you will be prompted for a promo code during the registration process. You must enter 30f in the promo code field so the Free Bets will be activated after your initial 10 GBP qualifying bet settles. Is there a mobile 888sport promo code? The 30f promo code includes a 10 GBP free bet token that can be used on mobile only.